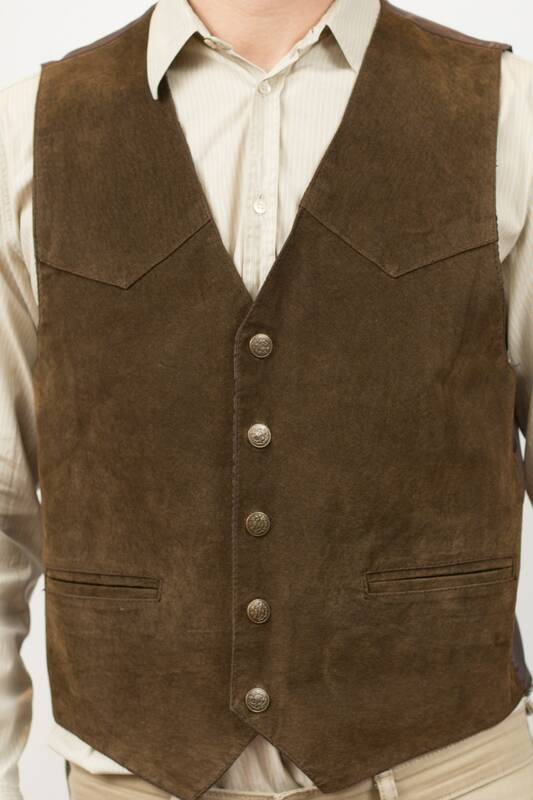 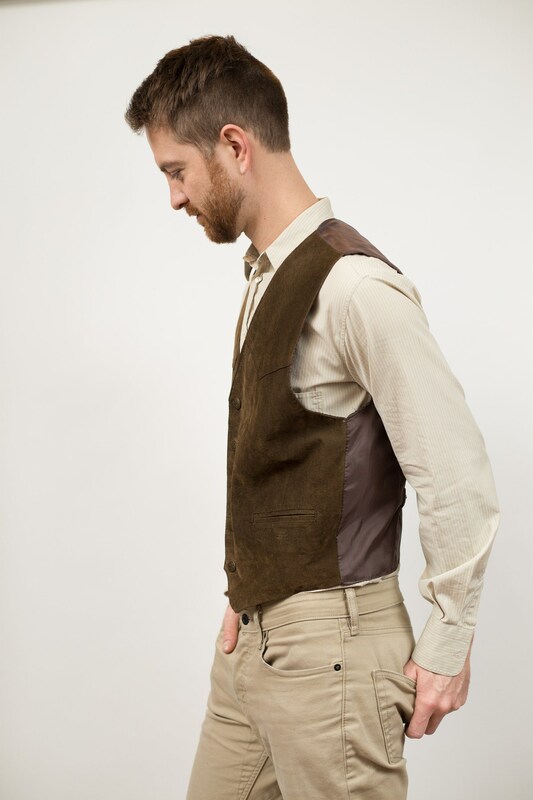 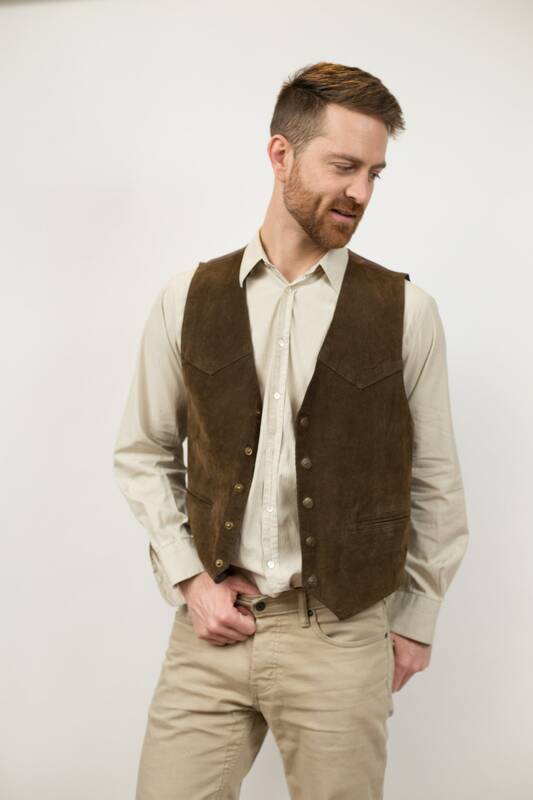 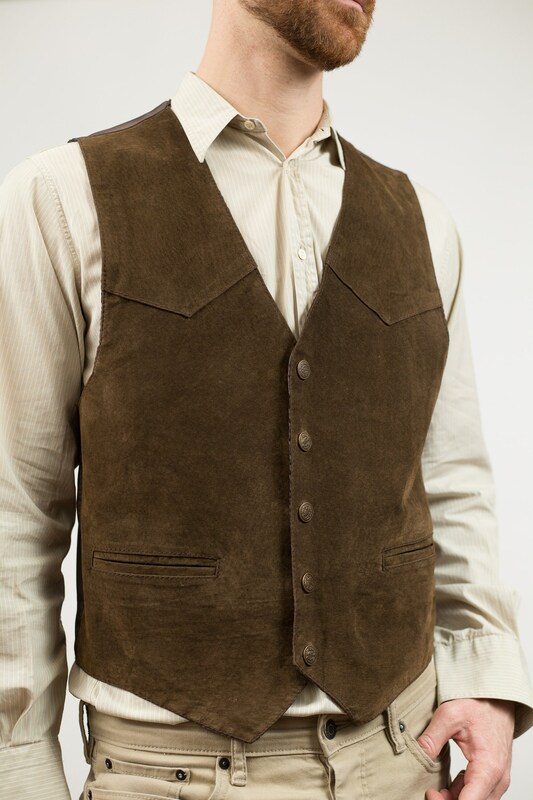 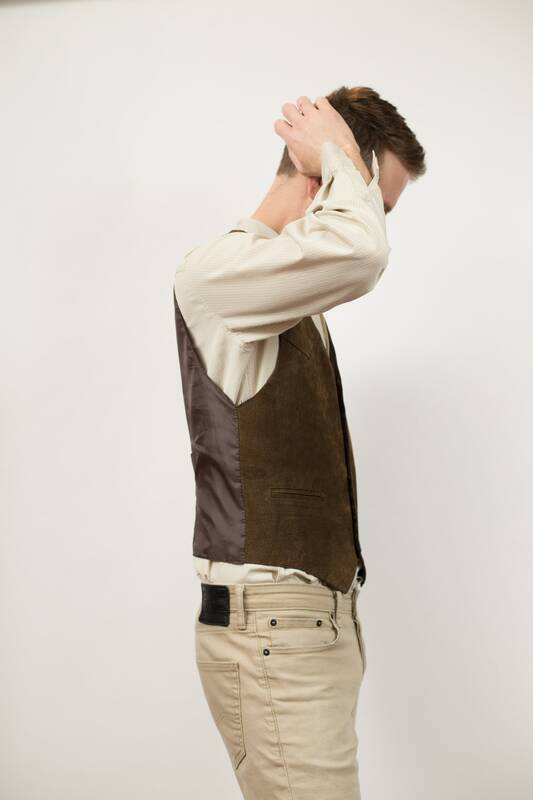 This is a classic vintage brown suede leather vest with cowboy feelz. 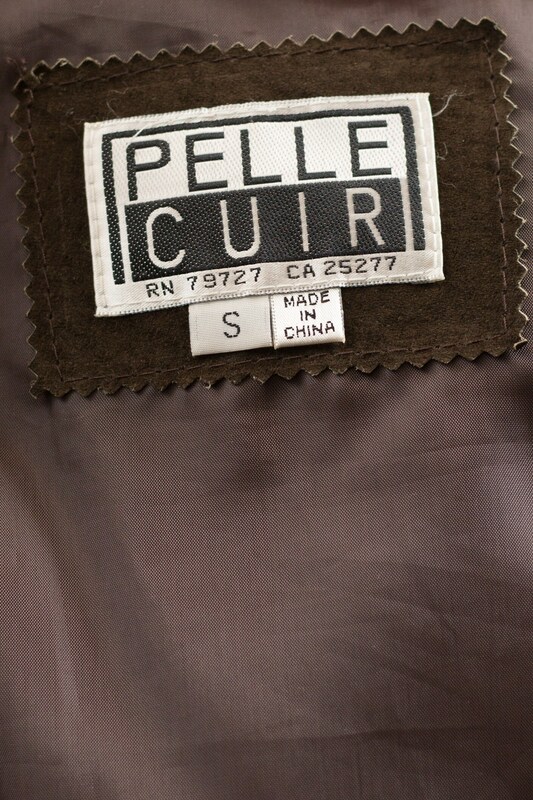 Fits Like: regular small (Model wears medium and is 5”11). 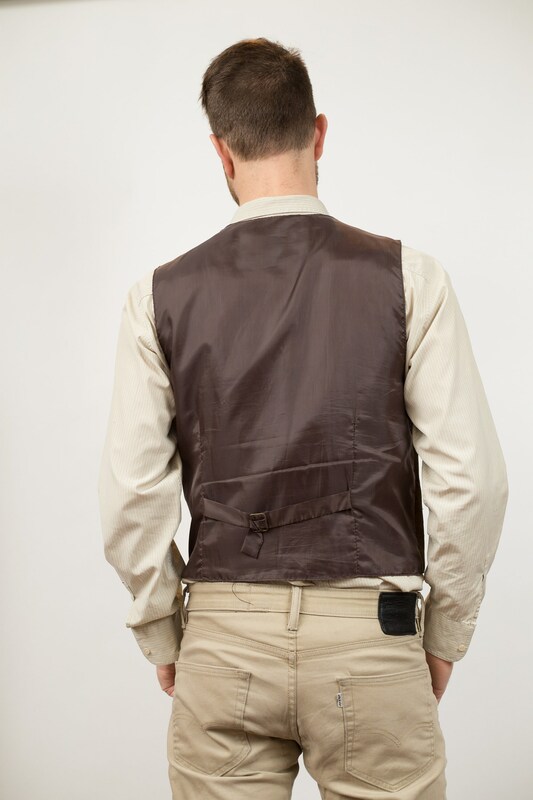 Material: leather shell, nylon lining.